I wanted to make this article because a lot of us want to work on our health as a New Year’s resolution. I like to work on my health in general and not just because it is January. It is important to see exercise and nutrition as a tool for health rather than looks. I truly realised the importantce of healthy eating and working out when my grandma passed away due to having diabetes and I made the conclusion that it was because of her poor lifestyle. We often see the words “healthy eating” as something fancy and cool to do but what it truly comes down is taking care of your body so that when you are older you don’t have diseases that can be prevented. At some point your body is going to give out anyway but if you take care of yourself, chances are that it is not going to be as soon as it could’ve been if you neglected your health. TAKE CARE OF YOUR MENTAL HEALTH AS WELL – Your mental health is going to affect your physical health just as much as it works vice versa. Being Kind to yourself is the key to achieving whatever goals you want. You need to accept the state you are in right now and use it as motivation to work towards your goals. 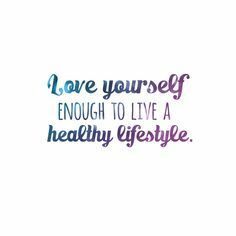 Work on loving your body in whatever state it is because it gets you places and allows you to do the things that you love. FIND THE BALANCE BETWEEN HEALTHY EATING AND TREATING YOURSELF – Eat the right foods that give your body nutrition. Eat lots of protein, veggies, fruits. Drink a lot of water. I don’t believe in dieting because dieting is for a certain amount of time. Try changing the way you live, rather than rying to lose weight fast. I don’t think it is actually healthy for that matter and health is the point of this all. However with that being said, I think that it is also important to treat yourself because life is short. Like Fridays – I usually go to eat pizza with my friends or snack while watching Anime with my bro. IT is not about binging but enjoying life. It is important to eat everything. No foods should be cut out of your diet. EXERCISE TO FEEL GOOD – How many of you exercise because of looks? Yeah, I thought so. It is easy to get caught up in that, I was caught up in that, too. I am still kinda struggling with it due to the ED and Body Dysmorphia. I am working on it. Find something taht you genuinely enjoy. Exercise doesn’t need to be this two hour long session in the gym. It can be anything. I hate the gym for example, I have never been to a gym but just the idea seems bad. I like stretching which can be lowkey called yoga at this point. I like pilates with Cassey Ho. I love skating but it is winter now so I can’t do that. And also biking is an awful lot of fun. I think it truly helped me to lose weight. Do what makes YOU happy. YOu don’t need to do what everyone else is doing. SLEEP MORE AND DON’T DRINK SO MUCH COFFEE – This is an aspect that I truly need to work on. Sleep is underestimated. I think that at this point people joke too much abot being sleep deprived and it somehow makes it “cool” to not sleep. But it is bad for you. Last year and even now I slept mayimally 7 hours on a good day but it was genuinely like 6 usually and I remember that there were times when I would like crash, break down from exhaustion. I would come home and I was supposed to elarn but I was so tired that I fell asleep and woke up around 8-9pm. And then I would drink coffee of course when I didn’t sleep and it just increases anxiety and stress and it is not good people. It is not cool to neglect sleep. Just go to bed and get at least 7-8 hours of sleep please. That’s about it. I also want to say though that you shoudl try not to stress about things because it is not going to be good for your health. You might have a lack of appetite, increase of appetite, get tired which can lead to drinking lots of coffee or sleeping too much and so. Genuinely strive for health and do your best. It doesn’t need to be perfect but try. Don’t strive for looks at all. Just for a peace of mind, soul and body.